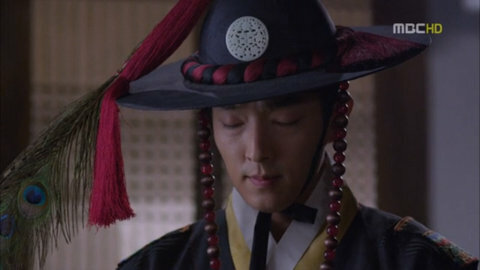 While watching episode 12 of Arang and the Magistrate, and after a long-continuing conversation with a friend about love and longing - the episode just hit me in the heart. 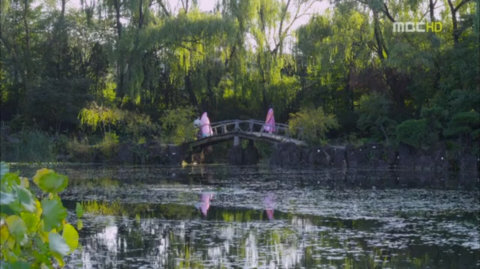 The scene where's she starting to remembering Lee Seo Rim's love-at-first-sight moment with Joo Wal was just so touching. I really, really love that Eun Oh gave her the diary and didn't hide it from her. 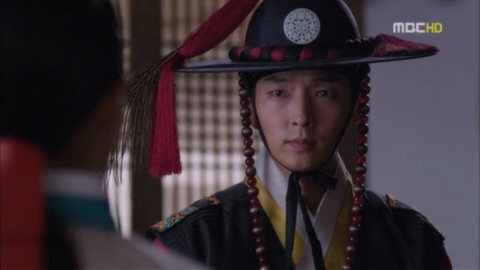 He knows that it won't necessarily be the best for him because it talks about her love for Joo Wal, but he gives it to her anyway, and then worries about how she must be feeling. When she came out of the room, and then started talking with him about remembering her first love, and the intensity of that experience, it was just poignant and beautiful. I think part of what made it so beautiful is that they are both becoming more aware that they are falling in love, and that it's complicated. His almost confession was beautiful, you could just hear the pain, and love, and heartbreak there in his eyes, and in her eyes. Another thing that makes it so beautiful is that she is realizing that while the intensity of her first love might have been real, the man who she loved was not the man he really was. And that the man who she is getting to know, is really the man that she loves. Eun Oh and Arang's love is a more mature love, a love of equals, a love that steps in to stop the other from hurt (not that they haven't had their moments are hurtful words to each other), a care and concern for the other. I dunno, I just really love their chemistry, their banter, their swoony-walking at midnight-pulling up onto horse-saving from cliff falls-peach-eating-field traipsing-heart-aching-beautiful love they are falling into. Oh such beautiful heartache. 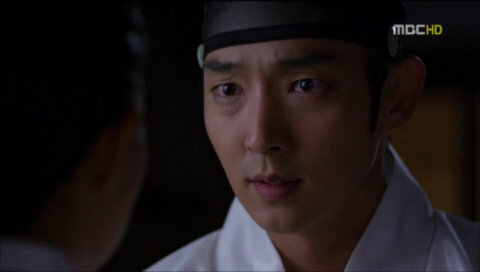 I also really love that Joo Wal has fallen for Arang for real. He's learning what real love can feel like, not the emotionally, abusive kind of "love" he thinks he has for his "mother" figure. He's slowly learning to be human. 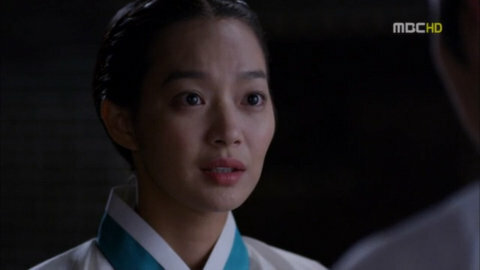 It's something that Arang has had all along. If to love whole-heartedly and without reserve, giving it your all, is what it means to be human, then Arang has that in buckets. And it seems that Lee Seo Rim had it too. And it's this that allows Eun Oh to confess. He himself says to Arang that she wants to live her feelings honestly (or something to that effect) and he's going to to the same. I love that he's like - I know there's not time, and it makes no sense to start something now, but I like you, and I'm not going to hide it, I'm not going to deny it. He knows that their love is going to be a heartaching love story, but he's going for it anyway. Man, I want to be able to love like that, whole-heartedly, without reserve. 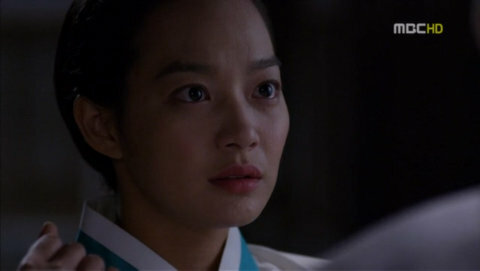 Let's hope that Arang will reciprocate in kind. I'm not really am not sure where this couple is headed - to heartbreak or happiness - maybe a bit of both - but these moments sure are beautiful. 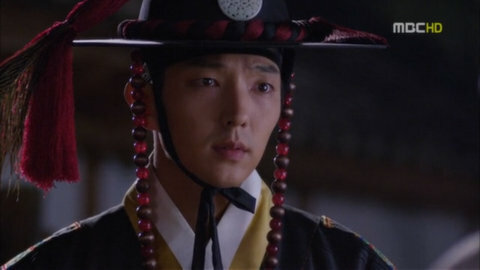 (And Lee Jun Ki's OST "One Day" - it adds so much poignant loveliness to their scenes).